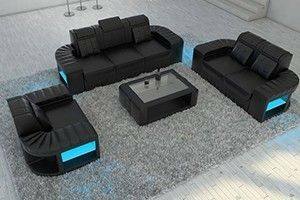 Sofa Sets Modern design full leather sofa sets Do you have a brand new, empty living room to work with as a canvas? Are there some key spaces that look like they can use some filling? 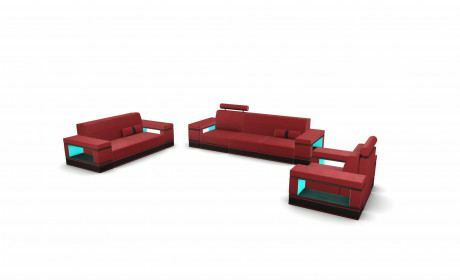 Why not fill them with one of our lovely modern sofa sets? 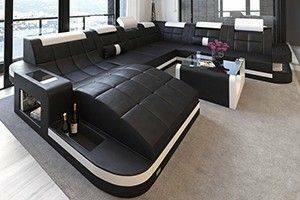 After all, the only thing better than one gorgeous leather sofa is two, and the only thing better than two gorgeous leather sofas is three! 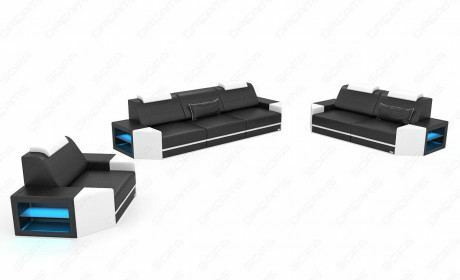 Flip through our range of sofa sets to see which configuration works best for you. 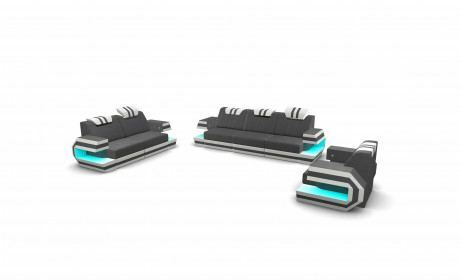 Before you know it, you'll turn that empty living room space into a veritable sanctuary of fun, relaxation, and good, wholesome company. 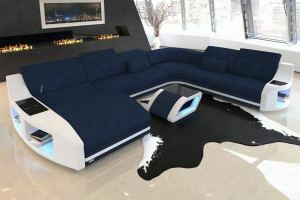 Visually speaking, these modern leather sofa sets surely speak for themselves. Taking one look at the robust lines, sweeping curves, and stoic frame is enough to grasp the solid design of our three-seaters. 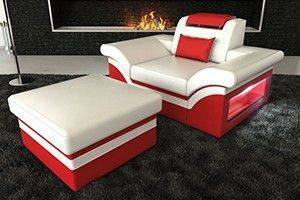 However, in order to make the perfect piece of seating furniture, it's necessary to go beyond the visual. 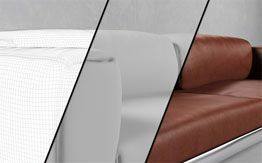 In designing our modern leather sofas, our manufacturing team prioritized three main factors above all others: aesthetic appeal, comfort, and longevity. 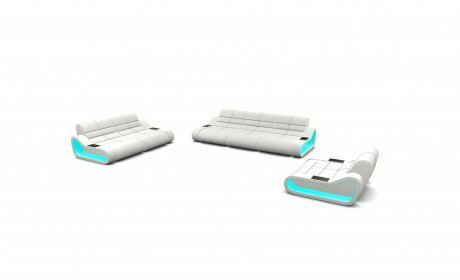 We've already gone through the aesthetic part; in terms of comfort, you can only try one of our sofas out for yourself to see how inordinately comfortable i is. In fact, one might be hard pressed to ever stand up again after taking a seat in one of our couches, though eventually standing up will be necessary. 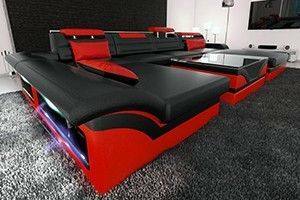 In terms of longevity, we understand that there's no use in offering furnishing built only for the short term. 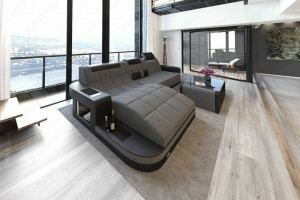 A sofa is a fundamental part of the property itself, and should be built to last a decade and more. 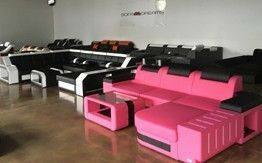 By shopping at Sofa Dreams, you can revel in the confidence of knowing that your seating solution will be there for you and your family for years on end. 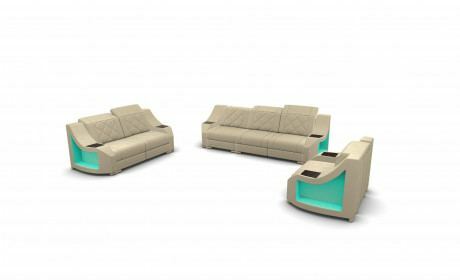 What's more, our sofas come in a variety of different colors, each exhibiting their own unique mood. 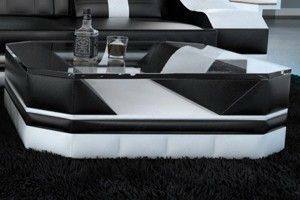 Match the mood of the sofa with that of your living room - or, perhaps your own! It's entirely your call to make, though our customer service team is waiting if ever you need help making it. 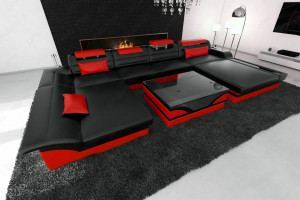 We want nothing more than to help you realize your dream living room configuration. 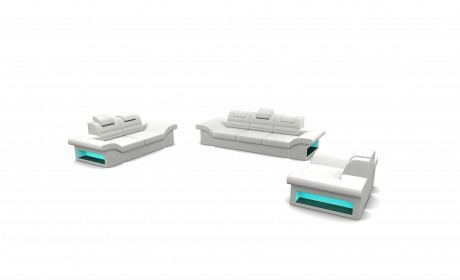 Whether it's to complement a robust, contemporary living room aesthetic, or if you're searching for the sleekest, most modern piece of furniture to add to a sharp, industrial room, our extensive product range certainly has you covered. The perfect living room is out there waiting for you - you just might need some help finding it. Reach out to our sales team and see how we can help you achieve the living room of your dreams. Luxury leather sofa sets Our luxury leather sofa sets certainly help amp up a living room's design in their own right, but they can definitely use some complementary furniture to help fill their function. 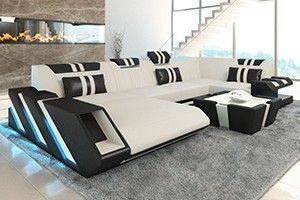 Perhaps a sharp leather or fabric coffee table in the center of the room would do the trick, or a comfortable armchair placed in the corner of the room. A modern living room is so versatile, and there's so much room for homeowners to play. Of course, having a second opinion never hurt anyone, which is why we're offering you ours - call up our customer service team at any point and we'll be glad to assist you in building your dream living room. 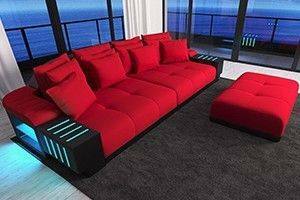 Modern style sofa Sometimes, a modern style sofa set is all a living room needs to take on an entirely new aesthetic. 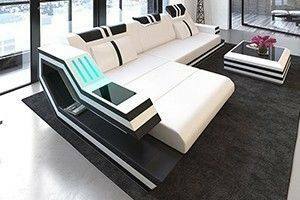 Other times, adding complementary furniture (such as a modern leather coffee table) to the mix goes a long way in improving a living room's function. Whatever the case, you'll find the right combination for you in our selection of living room furniture. Should you need a helping hand along the way, our customer service team is on standby waiting to offer their expertise. 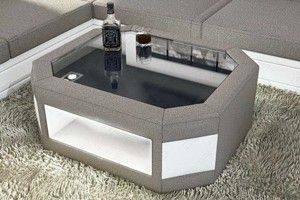 At Sofa Dreams, we understand that all living room's have a well of unlocked potential, and it's our job to help you activate it. 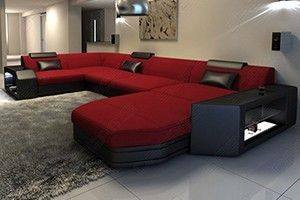 European design leather sofa When it comes to adding some well-needed substance and grace to a modern living room design, there's nothing that quite does the job like a European design leather sofa. 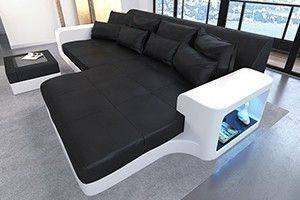 At Sofa Dreams, we pride ourselves on merging the sleekness and function of modern design with the attention to detail and visual density of European design. 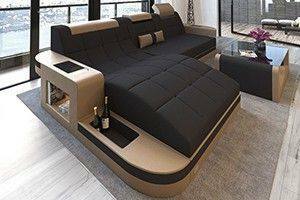 What results is a totally unique piece of furniture built to meet the basic requirements outlined by the European Union. 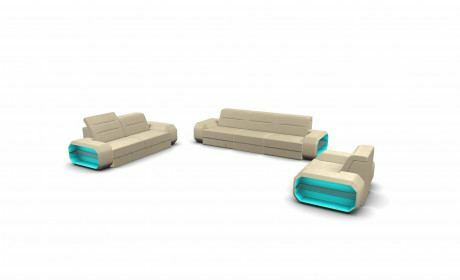 Invite volumes of new sophistication into your living area by opting for one of our modern seating solutions. 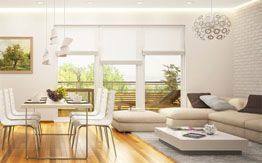 You'll find yourself with the exact living area of your dreams in no time at all.